BD 43/35 C Ep 15154010 https://www.kaercher.com/ge/professional/floor-scrubbers-scrubber-dryers/scrubber-driers/walk-behind-scrubber-driers/bd-43-35-c-ep-15154010.html Mains-operated (230 V/50 Hz) and affordable: the scrubber drier with disc technology cleans up to 1700 m²/h. For efficient basic and maintenance cleaning of areas up to 900 m². 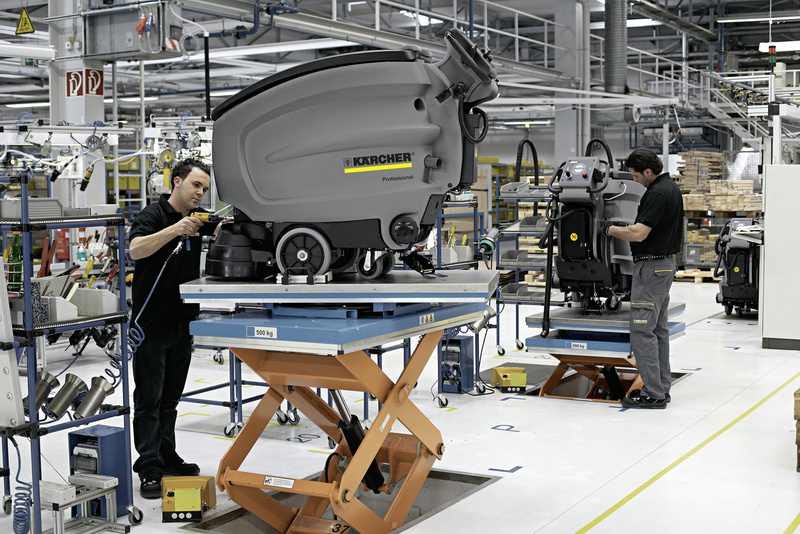 Mains-operated (230 V/50 Hz) and affordable: the scrubber drier with disc technology cleans up to 1700 m²/h. 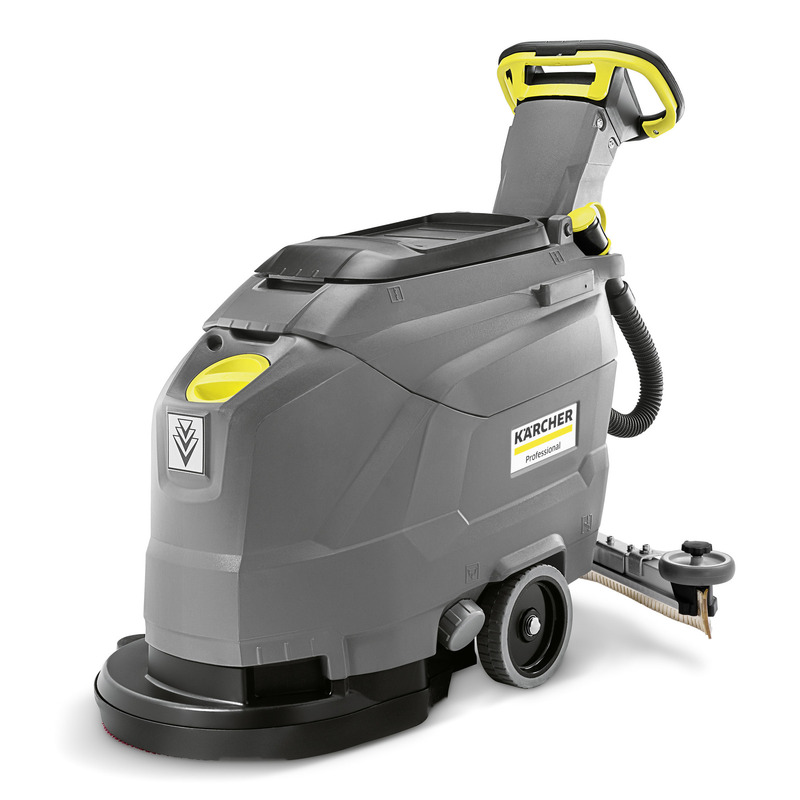 For efficient basic and maintenance cleaning of areas up to 900 m². The BD 43/35 C Ep mains-operated (230 V/50 Hz) scrubber drier with disc technology does not have a battery option, which makes this machine very affordable. Technically, the machine has the usual high-quality features: it has an impressive working width of 43 cm, 35 litre tank volume and is easy to operate thanks to the EASY-Operation system with distinctive, yellow controls. It is also whisper-quiet and easy to clean. The manoeuvrable BD 43/35 C Ep is ideal for small and very cluttered areas up to 900 m². Its compact size also ensures a clear view of the area to be cleaned. Curved or straight squeegees are available and can be ordered separately. Large tank volume for long work intervals without interruption. For very efficient and economical cleaning. Low weight low initial outlay. Suitable for both occasional and continuous use.